At Newcastle Vaults we provide eight convenient safe deposit box sizes to suit all safekeeping requirements: jewellery, cash, gold, silver, important documents such as deeds or wills and other precious and irreplaceable valuables you may have. 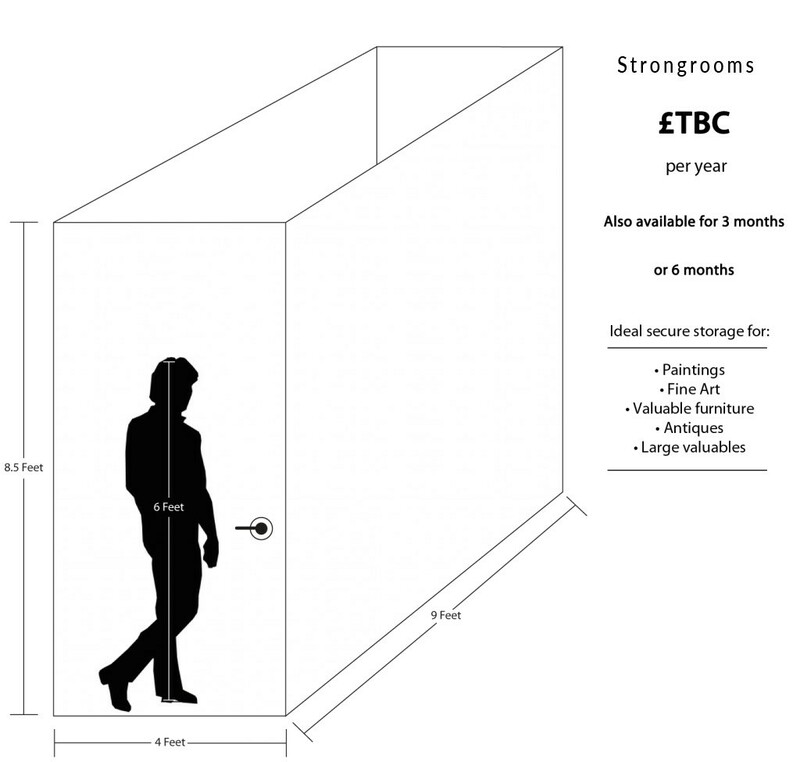 Added to these standard locker and box sizes, we are also the only safe deposit box facility in Ireland and England to offer walk-in strongrooms in our vault. These strongrooms are ideal for the secure and safe storage of large items such as paintings, sculptures and other art, as well as valuable furniture pieces or other large valuables. A refundable £100 key deposit is required to open your new account – this will be returned to you in full when you hand back your keys and access devices at the end of your rental period. We accept cash, debit cards, BACS and cheques. For payments via cheque, keys will only be released upon cleared funds. 3.5" X 7.5" X 24"
7.5" X 7.5" X 24"
All prices are inclusive of VAT. A refundable £100 key deposit is required to open your new account – this will be returned to you in full when you hand back your keys and access devices at the end of your rental period.